These whimscal balloons are mouthblown on the island of Murano, Italy by one of our bead makers. We have them in two sizes, mix and match the colors. 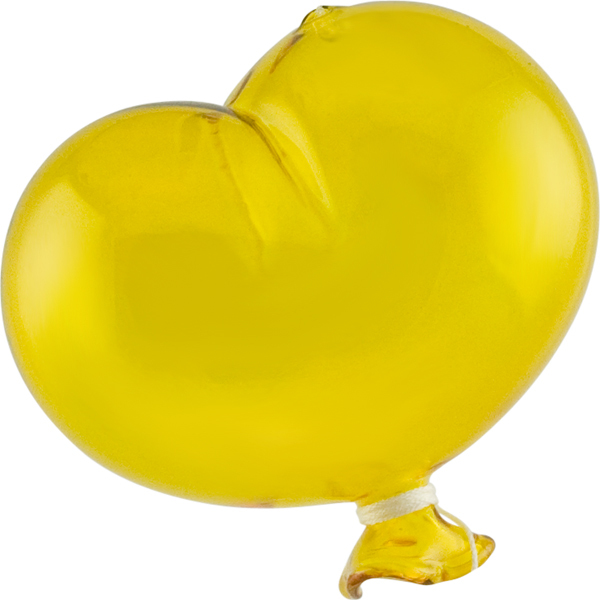 The size of this smaller balloon is approximately 3 inches wide and about 3 inches tall with a depth of about 2 inches. Since they are mouth blown without forms, the size varies. The glass is borosilicate which is used by a few glass blowers in Murano. The color is aqua.Hanging Instructions: They have a small clear line which extends from a hole in one of the top lobes of the balloon. 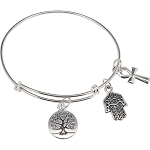 It is secured inside by a clear round glass bead. 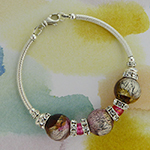 The outside end of the string is attached to a clear round ring which you may use to attach. The bottom of the balloon has a white cotton cord - like were once found on balloons which hangs down.